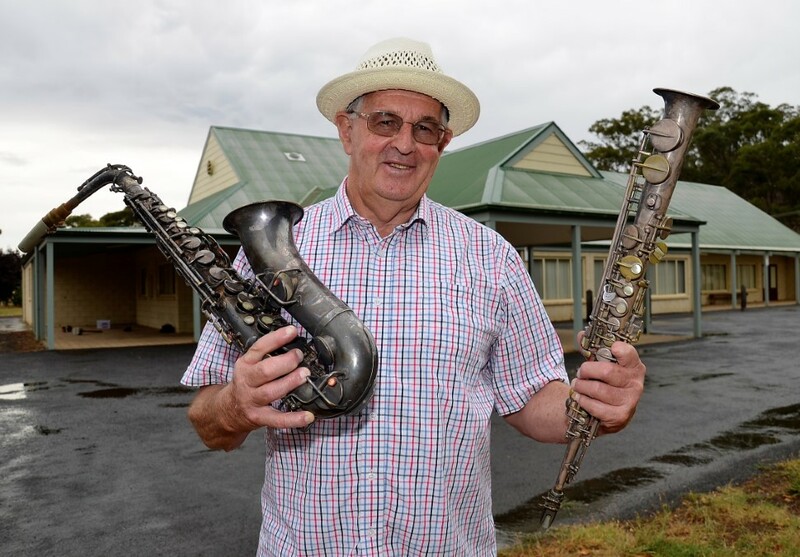 Brian Owens - pictured with vintage saxophones that once belonged to local yesteryear muso Ian Punton - ahead of the Campbells Creek Collectables Fair. There’s something special about picking up an antique musical instrument. The saxophones in Ken Smith’s collection hint at something of the lively past of their former owner. 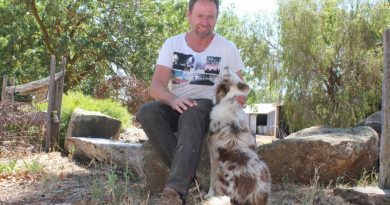 “They belonged to Ian Punton who played with the Passalaqua band in Guildford around the 1930s or 40s,” says Brian Owens who, along with Ken, is co-organiser of this weekend’s collectables fair that’s happening in and around the Campbells Creek Community Centre this Australia Day weekend. It will be the second time this local collectables fair has been held and it’s taking place across Saturday and Sunday, with more than 90 sites and vendors offering a wide range of antique and collectable items and curios. 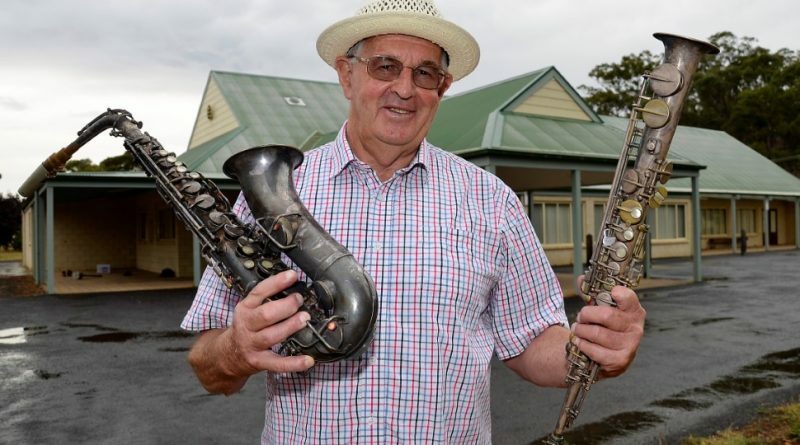 The nickel and brass alto saxophone that once belonged to the musical Mr Punton, and his former nickel 1900s soprano sax – both made in England – will be just some of the collectable items that Ken will be offering at his own stall, while at a nearby site, Brian’s stall will specialise in Australian ceramics and Australiana. Brian says it’s often the stories and lives associated with antique items that give them the extra X factor that makes them so sought after by collectors, who can be a competitive lot, he says. “We know that Ian Punton played at balls and country old time dances in the area back around the 30s or 40s,” Brian adds. Perhaps Ian Punton’s sax playing had achieved the end he was after? If only those vintage saxes could talk. But Brian reckons there’ll be plenty of talking at this weekend’s fair – in fact he says that’s probably what he enjoys most about the event that he and Ken hope to see grow and become a firm fixture on the region’s annual events calendar. “You meet a lot of nice people and I’m also expecting a couple of nice pieces that I have been promised,” says Brian, for whom the fair is as much a chance to enhance his own collection as it is to make a sale or two. 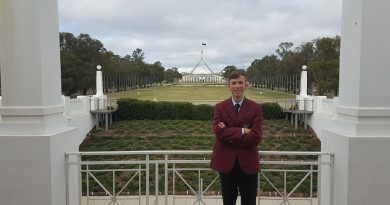 He says 2000 to 3000 people are expected over the two-day event. There’ll be on-site catering and coffee with fair trading hours set for 8-5 Saturday and 9-3 Sunday.